Our school is funded entirely by tuition and donations. Every donation supports our work in democratic education, helps us keep tuition affordable, and secures the future of Sudbury education at Diablo Valley School. Your donation — of any amount — makes a difference. Diablo Valley School is a 501(c)3 nonprofit organization. All donations are tax deductible as provided for by law. For those who prefer non-electronic options, donations can be sent by mail to Diablo Valley School, 2924 Clayton Road, Concord, CA 94518. If you have items you think we could use, or would like to volunteer your time and talents, call us at 925-676-2982 to learn about our current needs. Clip these boxtops from grocery products and drop them off or mail them to the school. We redeem them for supplies needed by the school. 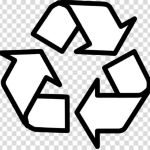 Recycle Save your rinsed, empty plastic beverage bottles and aluminum cans and bring them to the school. We recycle them for cash to support our school.